It’s been said that a structure is only as strong as its foundation, so when starting any ministry the strongest thing that you can build it on is the Word of God! By starting with God’s Word, you can be sure that your ministry’s foundation is STRONG! If you are a Youth Leader, Youth Pastor, or just someone who is passionate about transforming young people, this is for YOU! 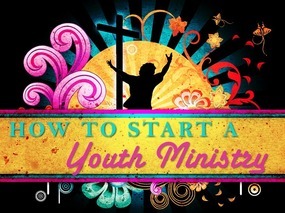 This teaching provides practical ideas that can be implemented in your youth ministry! When listening to the session, Pastor David mentions various tool that they use to help empower youth such as prayer confessions, worksheets, etc. To download some of those same materials mentioned, please click on the button below.